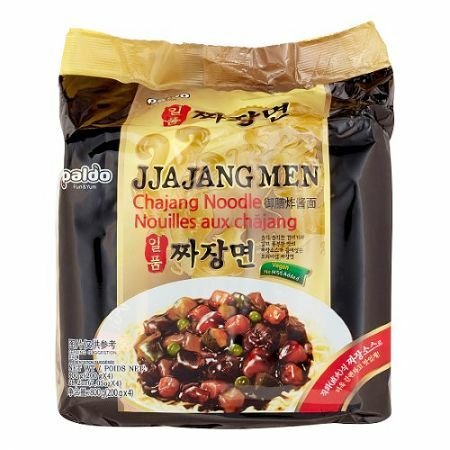 Jjajang Men is a popular Korean and Chinese fusion dish. These delicious noodles consist of thick chewy noodles topped with black soybean sauce and vegetables. Boil the noodles in water. After the noodles have been cooked, pour out the remaining water till about 3-4 tablespoons of water remain. Add condiments, cook for 2-3 minutes and serve.